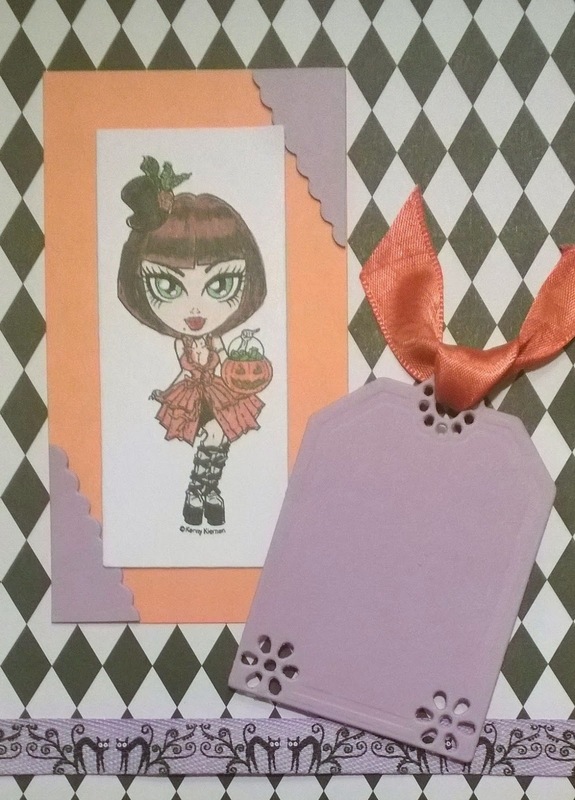 Jag deltar i följande utmaningar: Kenny K (Orange + Black), Papertake Weekly (Sketch #94), Passion for Promarker (Make it feminine), Fab'n'Funky (Halloween), Pinspirational (ATG), Dies R Us (Gift tags), Crafting Station (Halloween) och Delicious Doodles (Cute Halloween). What a fun card! Thanks so much for playing in our ‘GIFT TAGS’ challenge at Dies R Us! Please come back again soon! Super Halloween card, thanks for sharing at Fab'n'Funky. So gorgeous Jessi.Fab papers and colours and i love the image. Väldigt gulligt kort Jessi! Den här färgcombon är perfekt! This is such a fun card I love it! Thanks so much for joining our Gift Tags Challenge at Dies R Us. I hope you can join us again soon! This looks awesome. Great work with patterns, image and design. They all work so good together! Thank you for sharing your talent with us at Kenny K Krafty Krew Challenge Blog. Cute Halloween Card! Thanks for joining us at Blue Moon Crafting station challenge! Large coffee to go, please!